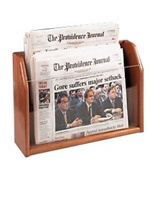 These wooden newspaper racks are perfect for office and waiting room settings. 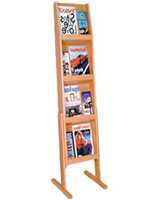 The durable oak construction makes these organizers great for high-traffic areas. 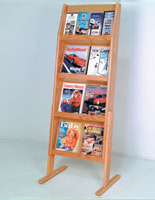 Each light oak rack comes with a clear acrylic front for viewing. 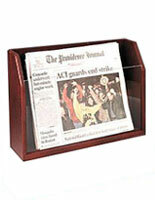 The 17" x 12" design sits easily on any counter or tabletop. 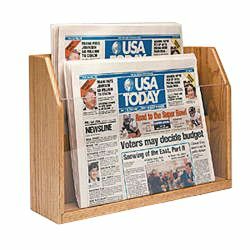 The racks are made with two pockets to split different issues. Order for your lobby or business today!